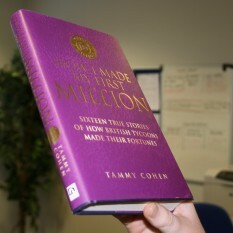 What the people in this book prove is that there’s no such thing as a typical millionaire. Some are middle aged, others are barely out of school. Some come from nothing with everything to prove, others reinvent themselves after otherwise indifferent careers. In fact, the only thing they have in common is ambition, motivation and the ability to think big.